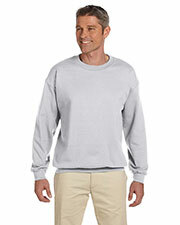 65% polyester, 35% cotton, 5.3 oz. 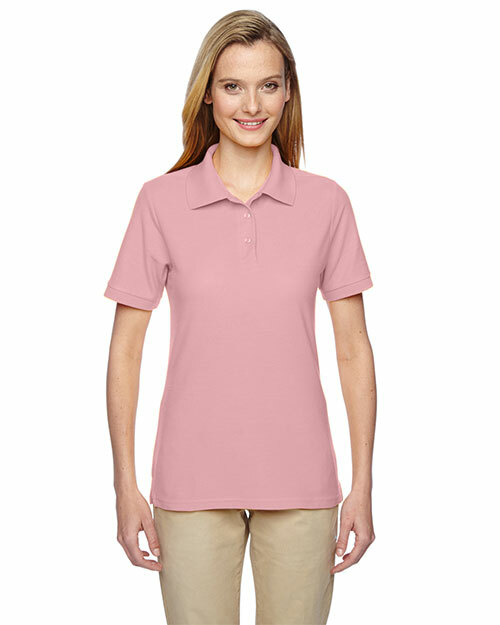 Three-button placket with bottom stitch reinforcement. Care Instruction: Machine wash cold with like colors. Do not bleach. Tumble dry low. Cool iron if needed. Do not dry clean. Do not use fabric softner. I bought these for a craft project and they look really good embroidered. Will see how they hold up to heat press printing next time. The polo shirt has a flattering fit although the size is a bit smaller than what I expected. Not true to size but still a very good quality shirt. After searching for a quality polo shirt I finally found one. The reviews I’ve read were mostly positive, and I bought one to see if they’re really as good as they say they are. I don’t regret my purchase. They’re very nice to wear and very comfortable, too. Will buy more. 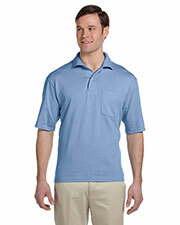 If you need quality polo shirts for yourself or for your loved ones, get one or more of these shirts. They’re worth it. Perfect for casual wear and also good for outdoor activities. Absorbs sweat and also very comfortable to wear. Size runs small. I ordered a new one that is a bit bigger because I love the feel of the fabric and I like how the shirt looks. I didn’t want to bother returning the first one, so I gave it to a friend. I would still recommend this shirt. It’s a good, quality item. I bought several of these for my daughters for a school activity where they were required to wear plain white polo shirts. They hold up really well after several washings and the collar has not curled yet. The fabric material is soft and my kids say they’re very comfortable to wear. 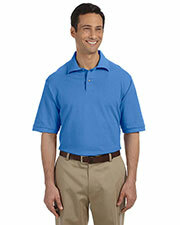 The Easy Care Polo shirt fits as expected. I’m very happy and satisfied with my purchase. 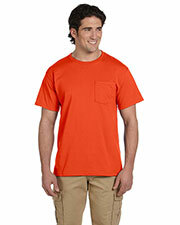 The stitching of the shirt looks professional and the fabric is soft to the touch. They’re comfortable to wear and not see through, which is exactly what I want. I gotta say I’m surprised with this shirt. I rarely wear shirts with collars because I find them uncomfortable, but this one is an exception. It’s really nice to wear and is very flattering, because the sides are a bit contoured. The black shirt is my favorite because it looks really good on me. Wears well and are very comfortable. Fits me nicely. 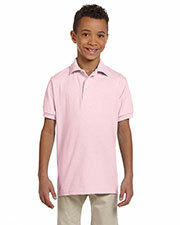 I bought several of these polo shirts and wear them for different occasions. I wear one regularly for workouts and it has held up well even after a couple of washings. 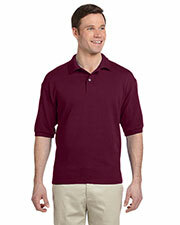 True to its description, it's an easy care polo shirt. Hardly any fuss in washing them. There are no wrinkles after I take it out of the dryer, so it saves me a lot of ironing time. Overall, it’s a great product. The color I got is very nice. I bought the forest green. It is very comfortable to wear. The size fits me just right, and it’s also the perfect length for my height. I definitely recommend you check these shirts out. 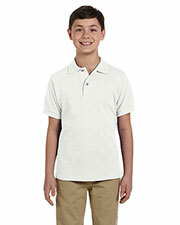 This is a high-quality polo shirt. The stitches are good and it fits great. I like the slightly curving sides of the torso, which is very flattering when I wear them. The sleeve length is also good. I don’t like shirts with very short sleeves. 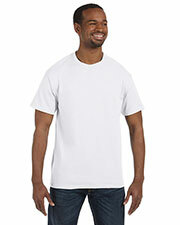 This is a great shirt to wear for Casual Fridays. The fit is flattering although the size runs a bit small. Good thing I bought a size up or it may have been too tight for my liking. Will get another one in a different color. Bought this because a friend recommended them. We needed some shirts for a company event, and these came up in a search. They're very comfortable to wear and the quality is superb. No loose threads or stitches unlike the one I bought from a different company. I think you guys did a really good job with this shirt! The best part is the collar. 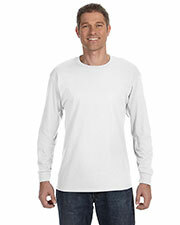 It does not curl after frequent washings, unlike other shirts I’ve had before. 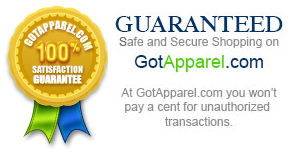 I highly recommend it to anyone looking for a durable shirt for everyday use. I’ve worn it as a sort of uniform when I did volunteer work for an organization, and it still looks good after several washings. It doesn’t need ironing after I get it out of the dryer. 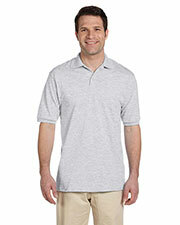 Durable and quality polo shirt!